Visium Resources, The Staffing Agency That is Always Here For You! At Visium Resources we believe one thing, that we support TWO customers on a consistent basis. Both the client who has trusted us to provide solutions to their needs; as well as our employees who fulfills those needs. At Visium Resources we believe the best candidates come from extensive networking along with the use of cutting edge employment technology. This philosophy has allowed Visium Resources to grow and prosper, with exceptional records of client and employee satisfaction and retention. We routinely ranks as having the lowest turnover and highest job satisfaction rates among employment agencies in the Central Florida area. Whether you are looking for a job OR looking for the right talent: Visium is here for you! 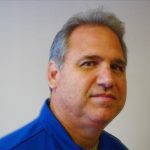 Having been involved in the staffing industry for over 30 years, Michael has had experience in all aspects of staffing. He has successfully opened offices in Wisconsin, Alabama and Florida. He has been serving as COO and Senior Vice President with Visium Resources since opening in 2003. Under his leadership, Visium has grown from a local recruiting agency to a national employment agency with an extremely diverse clientele. 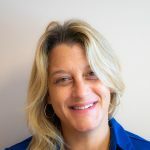 Bringing over 20 years of infrastructure, technology management, operations, and data research experience; Robin is an analytical problem solver able to work in dynamic, high pressure environments. She has been with Visium Resources for 6 years, and is currently serving as the Recruiting Director. Her extensive business leadership experience and information technology background has proved invaluable in the growth and development of Visium. Bob has been involved in the staffing services industry for over 35 years. 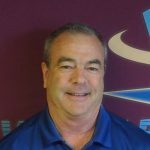 Throughout his career, Bob has held various positions including recruiter, regional administrative manager, branch manager and account manager. Bob has been with Visium since 2009 and in his current role at Visium, as Director of Business Development, has established major vendor contracts with various governmental agencies; in addition to the many client companies he maintains in the private sector. Visium Resources was founded in 2003 to fill the staffing needs of commercial and government organizations throughout the Southeastern United States. We were founded by an experienced group of employment agency professionals whose roots in the industry extend back to the 1950s and 60s. After many years of serving together as directors of a national trade organization, NTSA, our two founders decided the time was right to retire. However, when retirement lost its luster they decided to join together and meld their skills to actively go back into the industry they knew and loved. From this decision came Visium Resources, Inc. A new employment agency that would take advantage of the industries newest technology, but at its core, maintaining the principle of doing business on a personal level. Are you ready to Find Your Next Staffing Agency? Find out how Visium Resources can help you manage your employment needs today. Visium Resources will always be here for you.